Jeff Larson is the firm’s representative in Woonsocket. Jeff graduated from Pierre Riggs High School. He attended the University of South Dakota and obtained a bachelor of art’s degree in political science and later obtained his law degree from the University also. The current Sanborn County States Attorney, Jeff has experience in the areas of personal injury lawsuits, taxation, probate, wills and estate planning, criminal prosecution and defense, telephone and utility law, municipal law and real estate law. Chris A. Nipe is the firm’s representative in Mitchell. Chris is a native of Clark, South Dakota and obtained his bachelor’s degree from Northern State College. He then obtained his master’s degree in economics and his law degree from the University of South Dakota. He is a former Jerauld County States Attorney. Chris has experience in the areas of personal injury lawsuits, bankruptcy, family law (including divorce and custody), wills, and criminal prosecution and defense. 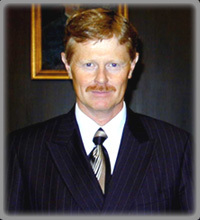 He has been a Special Assistant Attorney General for the State of South Dakota for over twenty years. He has defended every kind of criminal case, including murder and attempted murder. 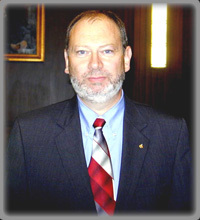 Two of his South Dakota Supreme Court cases have been reported in national legal publications. In Mitchell and Woonsocket and Madison by appointment.